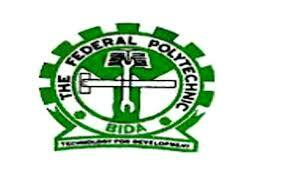 Federal Polytechnic Bida, Important Notice to all Returning HNDII, NDII and Graduating Students on Payment of Compulsory Levy Fee of One Thousand Naira (N1,000:00) for 2017/2018 Academic Session. This is to inform all the returning students (HNDII & NDII) and Graduating Students of 2017/2018 Session that council at its meeting held on November 27th 2018 directed that they should pay the sum of one thousand naira (N1,000:00) only as compulsory levy for the damages recorded during the student clashes with members of National Union of Road Transport Workers. The incident occurred on 3rd September, 2018, and the payment mentioned above is to be made at Federal Poly Bida Micro Finance Bank situated at Mechanical Engineering Complex.